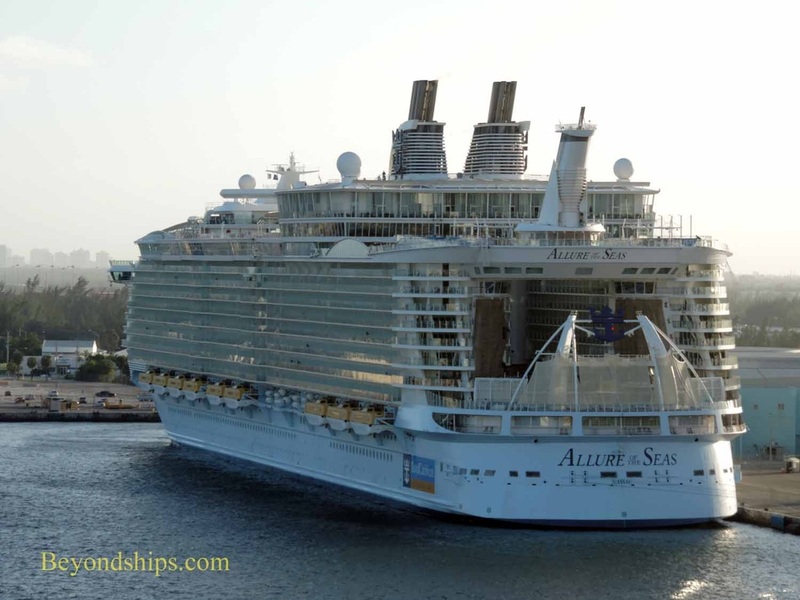 Allure of the Seas is based in Fort Lauderdale, Florida. 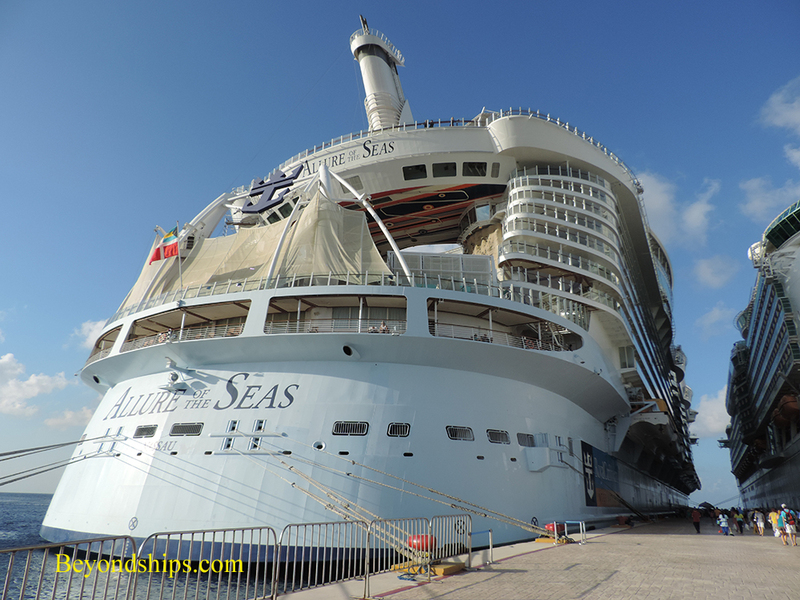 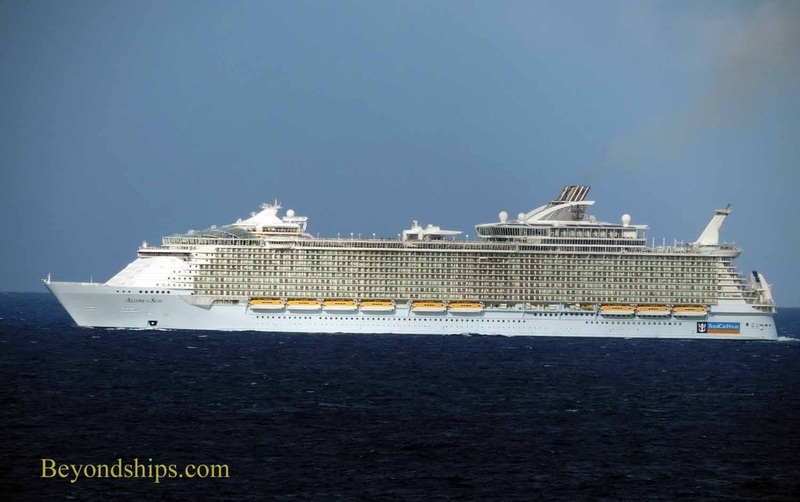 She docks at a terminal that was created for Allure and her sister ship Oasis of the Seas. 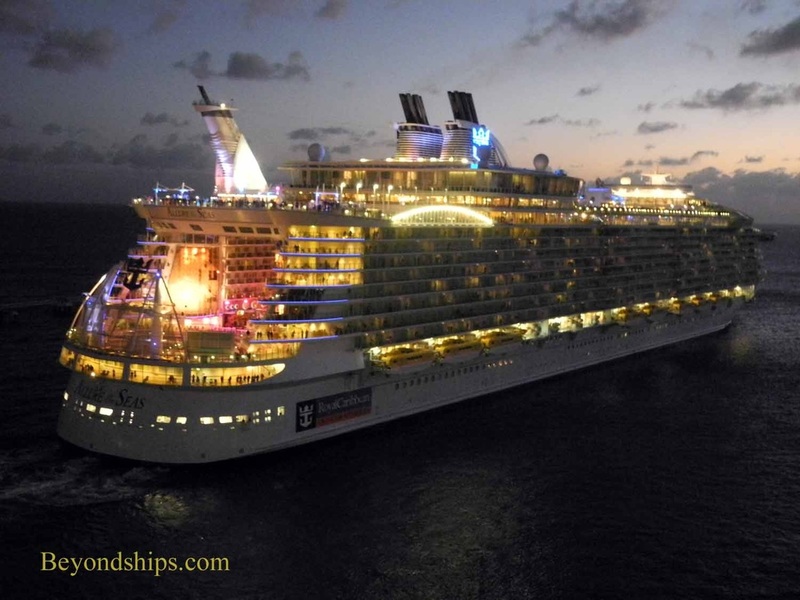 On average, guests spend less than a half hour between the time they drop off their bags and the time they are on the ship. 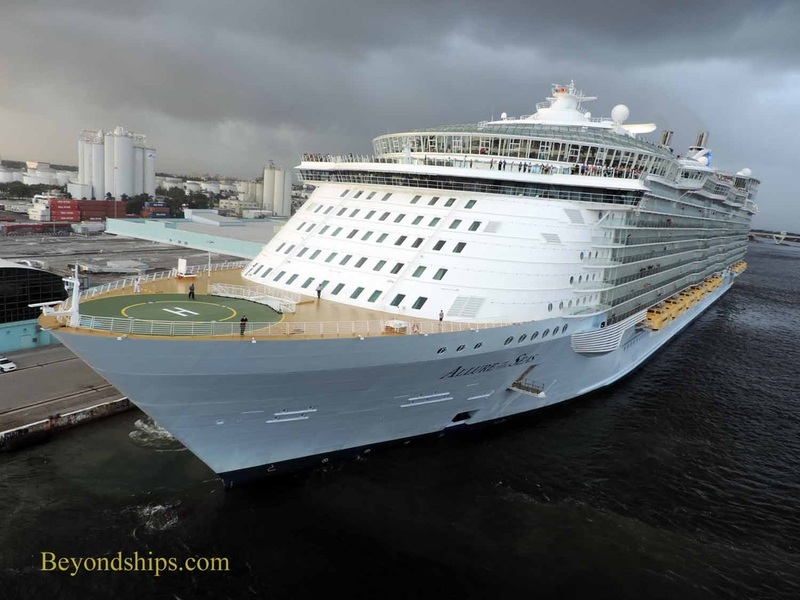 Each Sunday, she sails on a seven-day cruise. 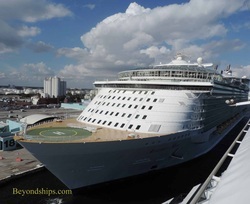 One week she sails on an Eastern Caribbean itinerary, the next week she sails on a Western Caribbean itinerary. 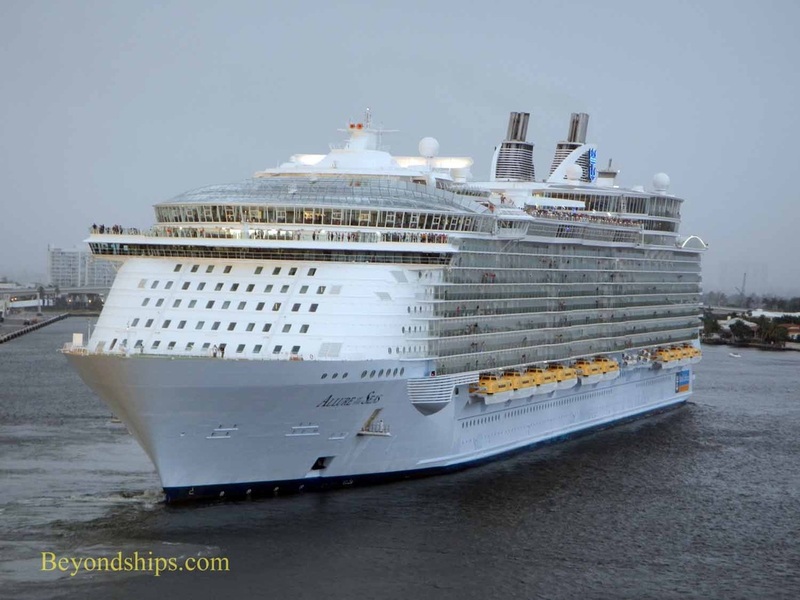 Allure leaves her berth and backs out into the harbor as a rain storm approaches. 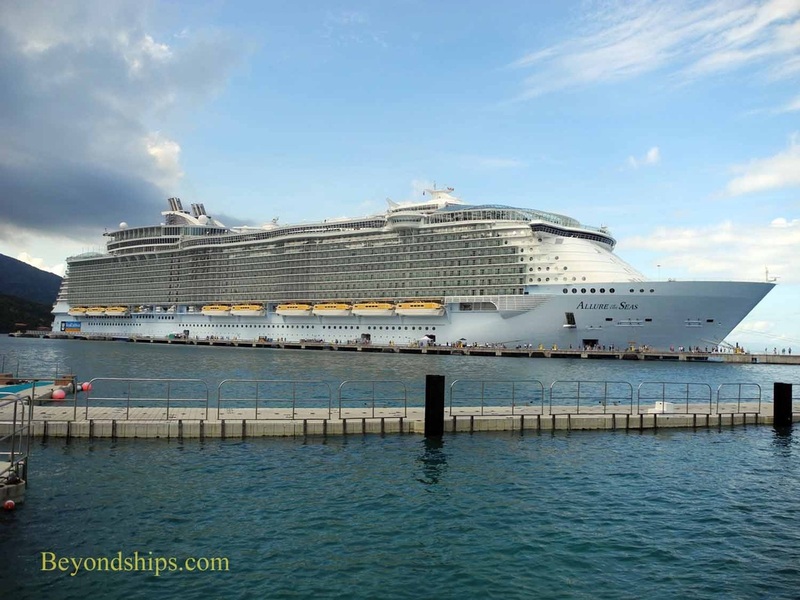 The first stop on her Western Caribbean itinerary, Royal Caribbean's private resort Labadee. 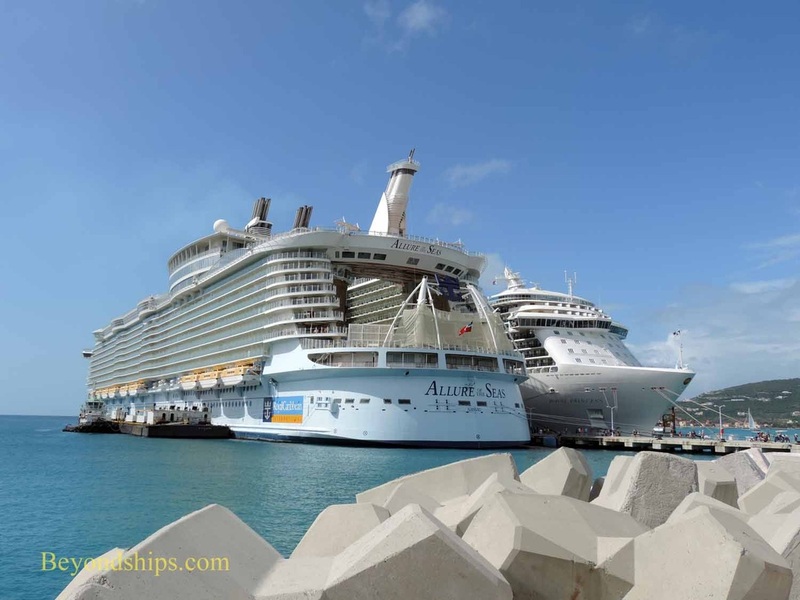 Left: Allure in Falmouth, Jamaica. 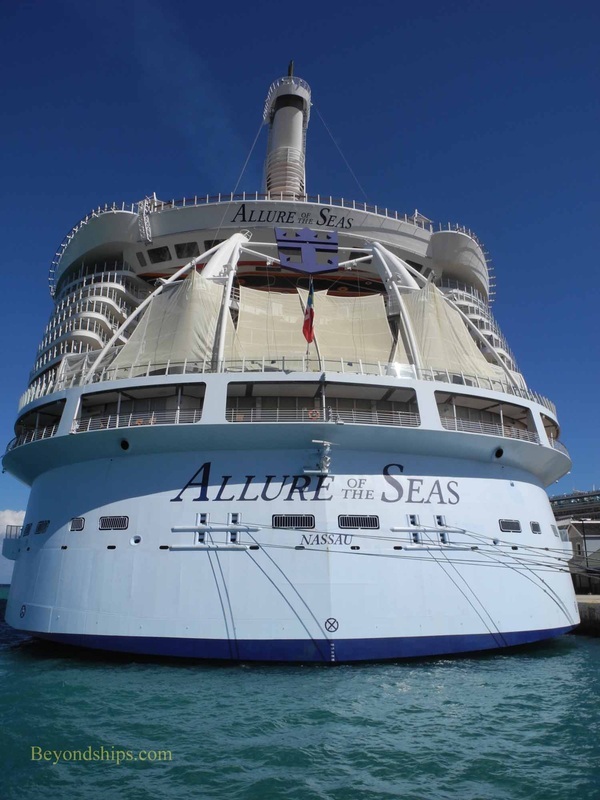 Above and right: Allure on her Eastern Caribbean itinerary in St. Maarten. 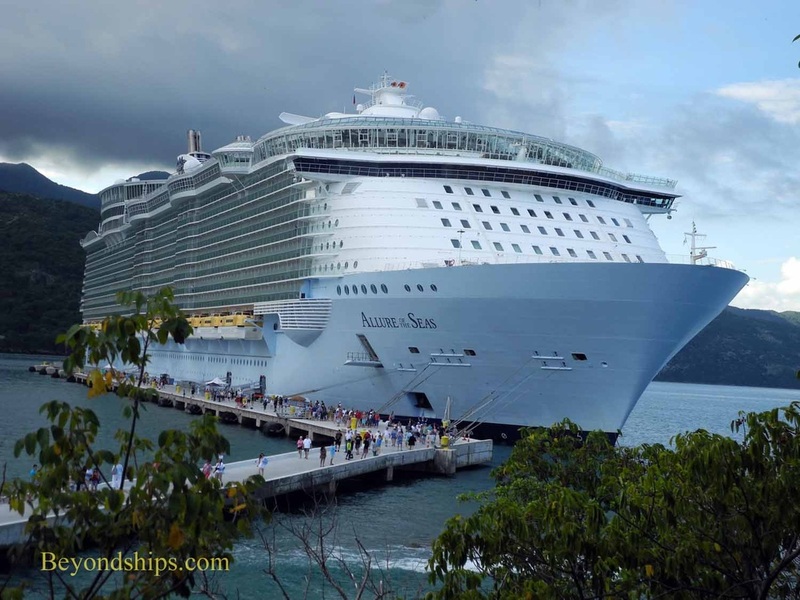 The other two ports in that itinerary are Nassau and St. Thomas. 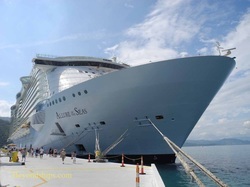 Below: Allure during a day at sea. 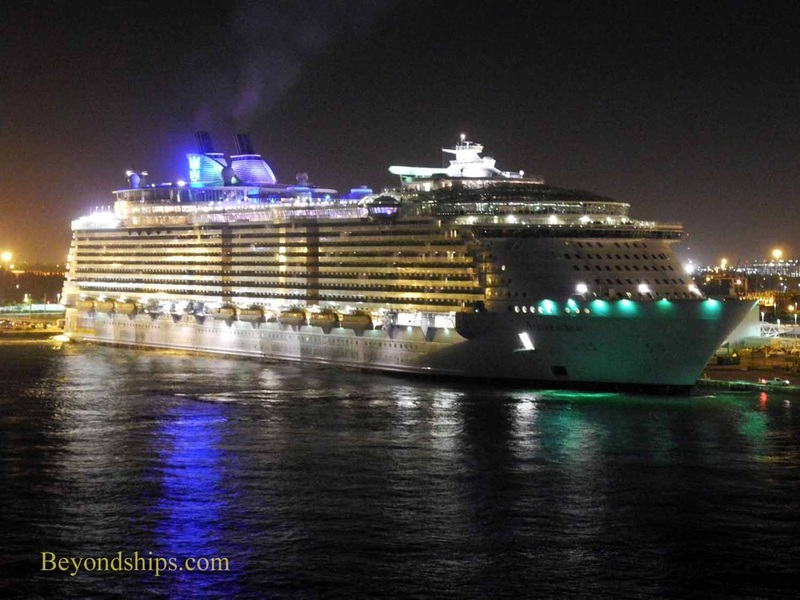 Right: Allure returning to Fort Lauderdale in the pre-dawn hours.